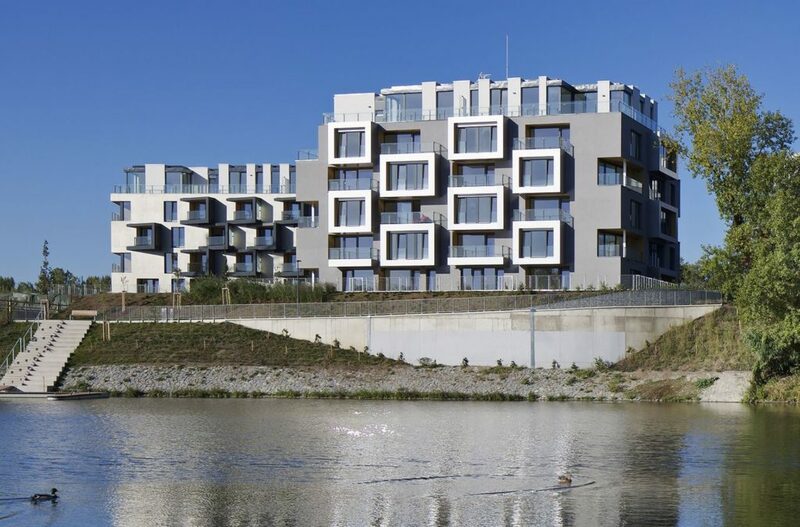 Prague’s waterfront locations have recently come under the spotlight as highly attractive residential locations. 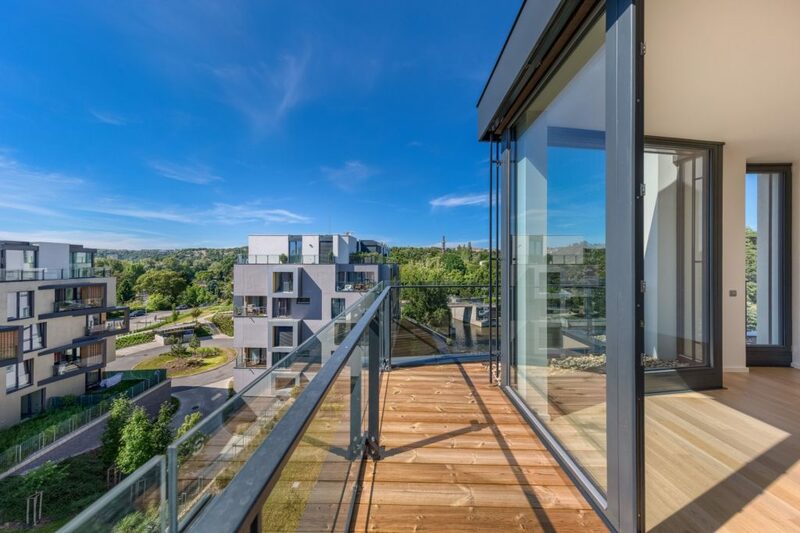 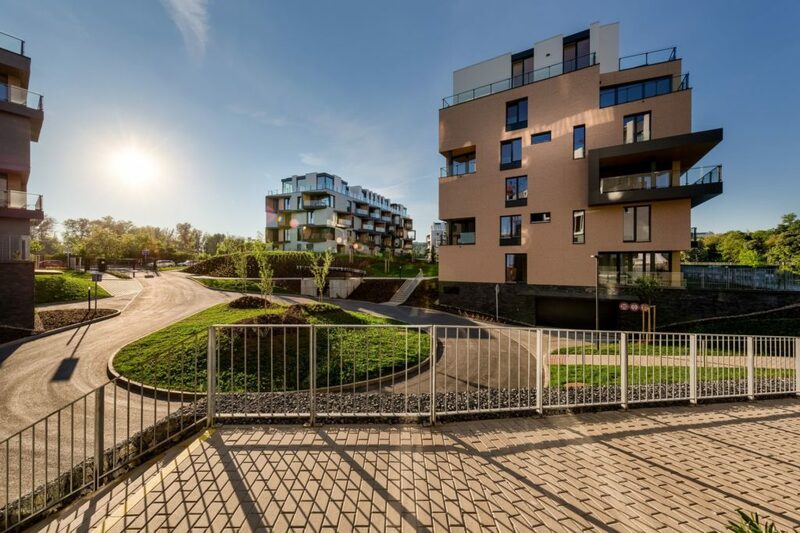 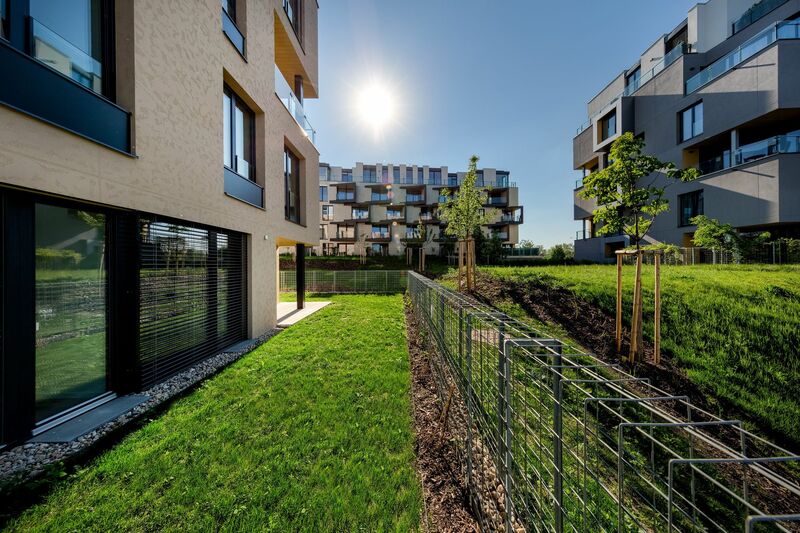 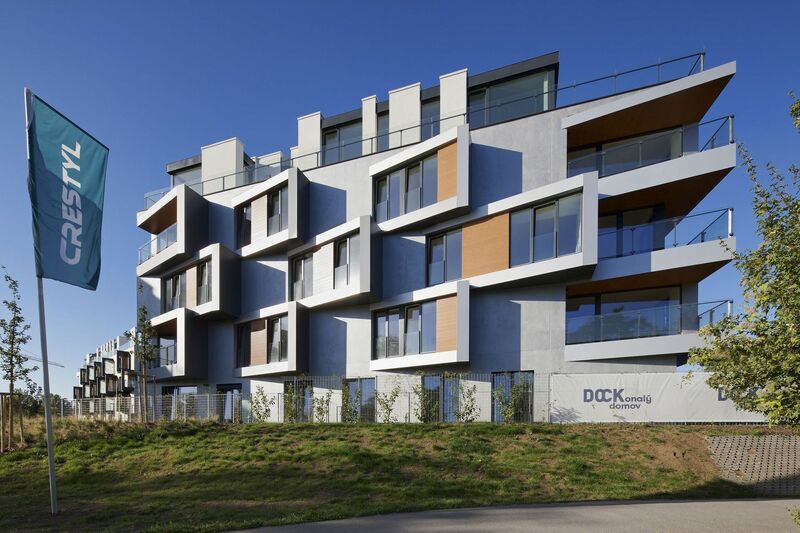 This former docks site in Prague 8 has been transformed from an underused wilderness into a landscaped complex of 250 homes. 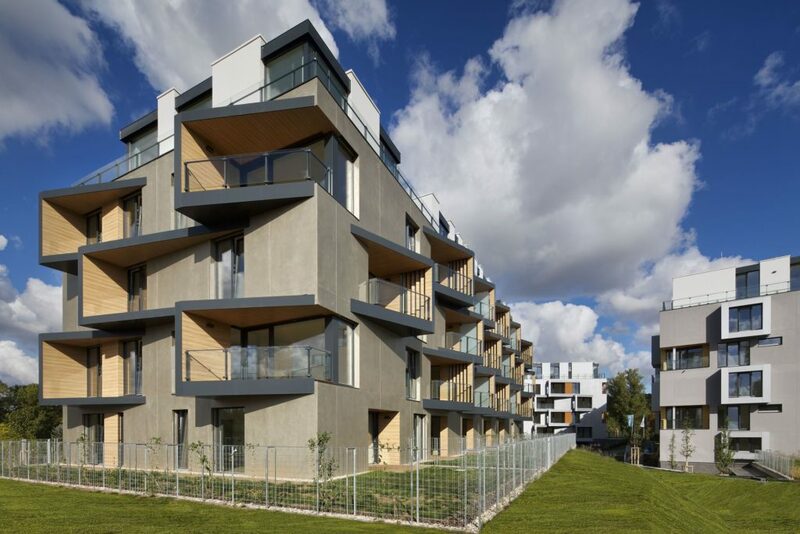 The nine apartment buildings sit in a parkland setting and in the absence of any strong urban context they are conceived as stand alone pavilions informally placed to maximise riverside views. In response to this setting the buildings have a richly detailed layer of balconies, recesses and projections to celebrate the transition between inside and outside and make the most of the elevated positions of the apartments. 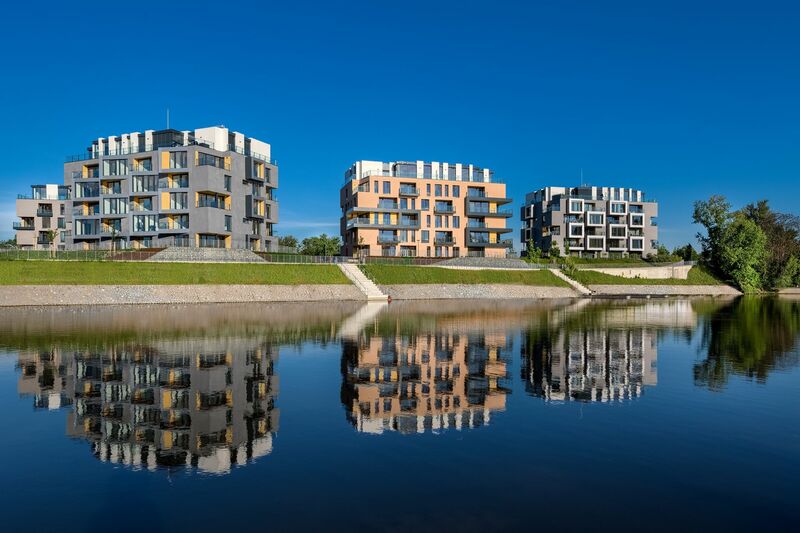 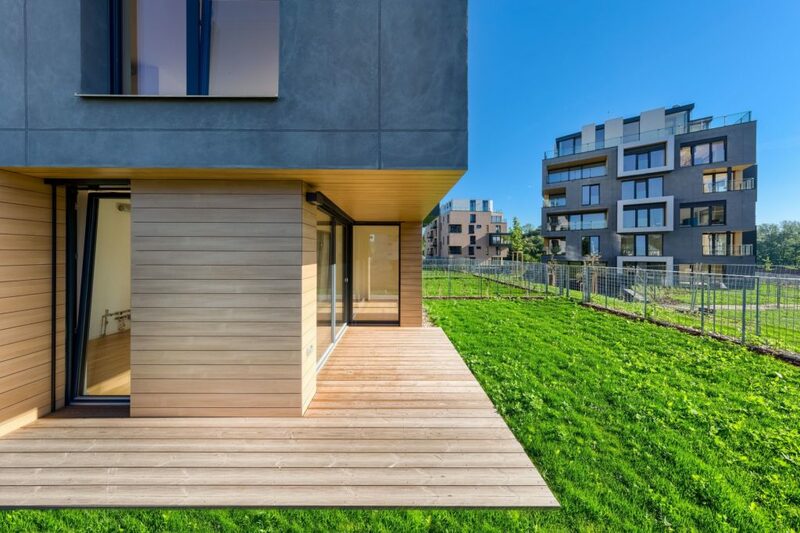 This multi award winning project (best Czech Residential project 2015, 2016 and 2017) is developed by Crestyl.